Grain SA is a non-profit organisation of grain farmers in South Africa. We have 2 900 commercial farmers and 3 800 developing farmers who are paid up members. Our strategic aim is to promote the sustainable production of grains and oilseeds for the sake of food security in South Africa. Food security implies producing enough grains to feed the nation at affordable prices and of a safe and nutritious nature. Grain SA is also committed to contributing towards the government goals of job creation through sustainable economic growth. South Africa can pride itself in that famine or food shortages has not occurred in the past five decades. Although we do struggle with high food prices from time to time, the country has never run out of food, even during times of drought. White maize and wheat produced are primarily used for human consumption (maize meal and bread) and the yellow maize and soya beans produced for animal feed. Animal feed is manufactured specifically for poultry, dairy and red meat production. Adding to this, other oilseeds like sunflower and canola are processed for the food market. Grain farmers are therefore part of every South African citizen’s life, almost every day. It is estimated that each grain farmer feeds almost 6 000 people every day. Food security provides a platform for political stability. The food riots of 2007 and 2008 in many countries, as well as the Arab Spring of 2011, proved the importance of having enough affordable food to feed a nation. Agriculture therefore plays an important role; to feed the nation, but according to the National Planning Commission of South Africa’s 2030 strategy, the sector is a strategic partner for rural development and job creation. To assist the government to achieve these and other strategic goals, Grain SA has aligned its own goals and focus areas to support the government in realising these. One of the major achievements has been our training and mentorship programme for new black farmers. There are about 4 000 farmers of all ages and genders organised in our 109 study groups. They undergo training, attend farmer’s days and learn at the numerous trial plots how to farm the land in a sustainable way. The technology transferred at these training sessions assists them to produce grain of commercial yields. Access to land and financing, remains the biggest stumbling block for these farmers. One of the solutions to overcoming this problem was the partnership formed between the government and Grain SA in 2011. The government is funding the recapitalisation of these farmers and Grain SA provides a mentoring service to ensure that commercial production occurs. The programme was expanded in 2012, following the huge success, from R36 million (16 farmers) to R185 million (88 farmers). The partnership assists the farmers for a period of five years to allow them to become independent sustainable farmers contributing towards food security in South Africa. Another area where Grain SA plays an important role is to act as a mouthpiece for all grain farmers. This comes in very handy in matters such as agricultural policy, trade negotiations with other countries, misuse of market power by input suppliers and buyers. Grain SA is also involved in the research that is done to ensure that the farmers are as productive and competitive as they can be. Productivity and competitiveness are the keys to affordable food. Despite our best efforts, farmers are always exposed to the ever changing weather patterns in South Africa. 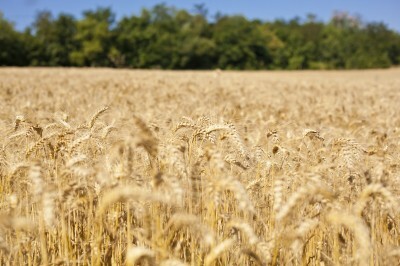 Currently we are experiencing high food prices because of a severe drought in the United States. 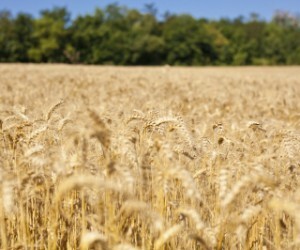 The US produces the biggest quantities of grains and oilseeds in the world. It is basically the breadbasket of the world and the drought has caused a crop failure in maize and soya beans. Because of this failure, world prices have increased substantially and as a consequence the prices of grains have increased in South Africa as well. All our prices are attached to the international prices like those of crude oil and petrol. This impacts negatively on consumers, but it creates an opportunity for grain farmers to expand their production which will lead to a reduction in food prices over time. A major strategic goal of Grain SA is to unite agriculture. The history of our country has separated not just our people, but has caused division in institutional capacity as well. Although the development of these farmers might differ, it is only the border fences which separate them from each other. Our dream is for farmers to co-operate (black and white), but also for farmers and the government to ensure that the people of this country will never stand in lines for food, because of shortages.